For sports fans in general and boxing fans in particular, a new movie opens in the United States this weekend that will bring back memories if you followed the pugilistic fist-a-cuffs during the Muhammad Ali era. 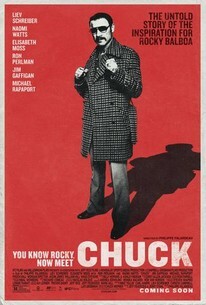 It is named “Chuck”, formally called “Bleeder”, referring to the real life “Rocky” of the 1970’s Chuck Wepner. This movie brought back great memories I have of a day when heavy-weigh boxing was more than just a passing thought. A time when the most recognized person on the earth was a sports figure and his name was not Pele. It was Muhammad Ali, the heavy-weight champion of the world. There was no discussion on who was the champ, and Ali was not just a bigtime boxer. He was larger than life, and what he said, did, and represented dominated not only sport but politics and the world view in general Some hated him and others loved him. Even today after his recent death, he has people in both camps. And part of Ali’s life was to “meet” the men in the heavy-weight division that tried to knock the hell out of him at any cost. Chuck Wepner was one of those men that gave it a try. “Chuck” the movie is about this man and his date with Ali in the ring. 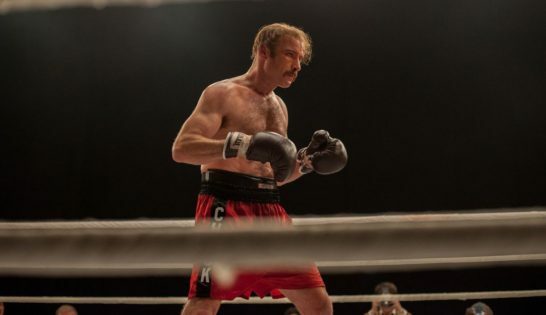 The Bleeder offers a fairly equivocal take on that story, with Liev Schreiber (who also co-produced and co-wrote the film) playing the boxer as a loudmouthed hustler who carries himself like a king. It’s the GoodFellas of boxing movies, with Wepner’s self-aggrandizing voice-over constantly challenged by the images we’re seeing – an angry wife (Elisabeth Moss), an alienated brother (Michael Rapaport) and a drug habit that ruined the parts of his life he hadn’t already destroyed. Wepner might think he’s Rocky Balboa, but Rocky Balboa was a good husband, a good father and a winner. Schreiber and Falardeau let him talk, but their movie has no illusions: The Bleeder knows this guy’s a bum. Any movie that is compared to “GoodFellas” must be a winner. It is. Take a trip back to a day when the fight game was not all good. But it was salient. And if you are over sixty, you understand. If you are a novice in sport, or younger than a millennial, wise up and take a taste where sport, especially boxing, was just more than two men beating their brains into permanent damage.